Ready to serve vegan / vegetarian, plant-based, Sesame Ginger flavored Fishless Tuna. Elevate everyday snacks and meals. Serve on crackers and sandwiches or use as a topping for salads. Each 3 oz. 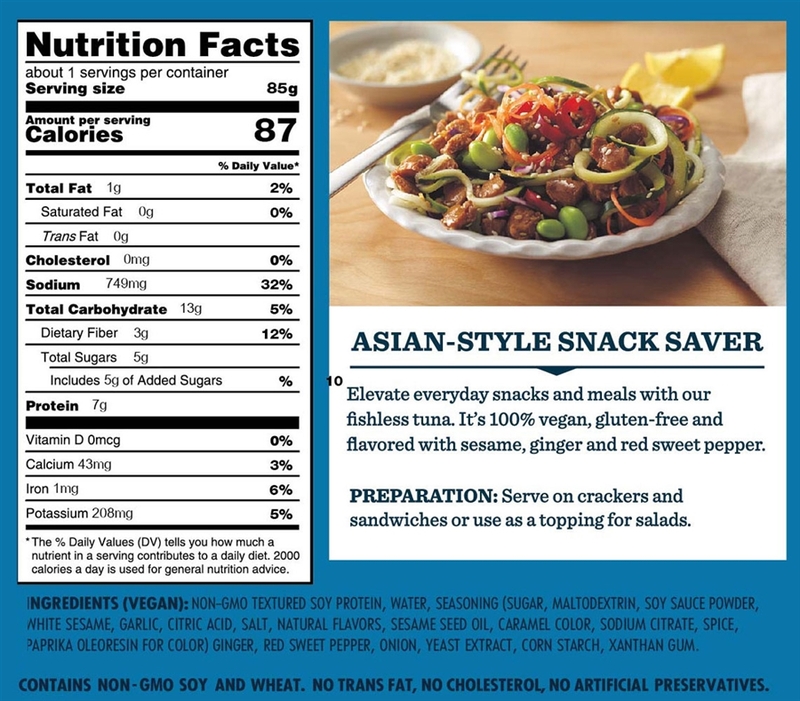 easy open pouch contains 1 serving of vegan / vegetarian Fishless Tuna.